The stated mission of The Harvest directs the magazine to:Encourage devotion to the Sacred Heart of Jesus; to its namesake and patron, St. Joseph; and to the other patron saints of the Society. Foster racial and cultural understanding and reconciliation. Make known the achievements of African Americans that reflect the influence of the Catholic Faith. Recognize the labors of clergy and lay persons whom work for the continued development and the evangelization of the African American community. 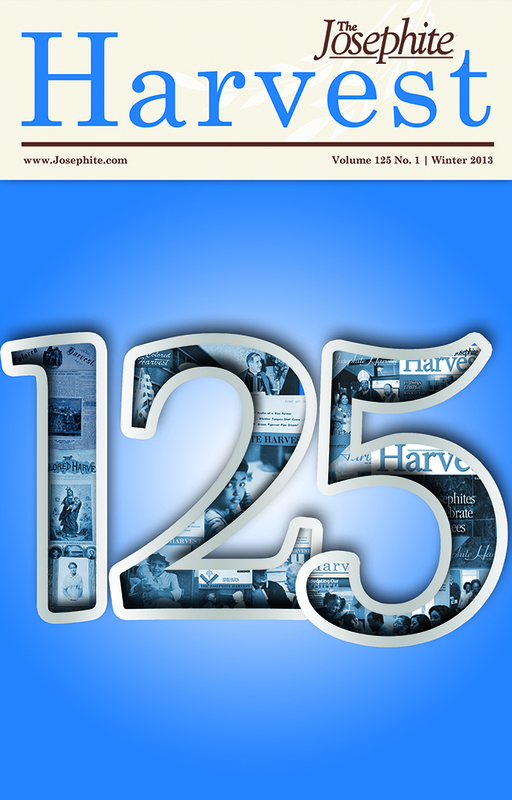 First published in 1888, The Josephite Harvest began as an annual issue, called The Colored Harvest. The first issue coincided with the opening of St. Joseph Seminary in Baltimore, Maryland, and it urged support for this new American missionary institution. The goal and editorial focus of The Harvest has always been, and continues to be, to gain support and recognition for African American evangelization. Throughout the years, The Harvest has continued to reflect the efforts of the Society of Saint Joseph of the Sacred Heart to inform its readers, friends and benefactors about the state of the Church, especially as it relates to the Society’s work in African American communities. The editorial content in The Harvest quietly relates the stories and efforts of Josephite priests and brothers as they strive to accomplish their missions of dedication to the communities of African Americans. Some of the stories are about the priests and brothers, themselves, and their never-ending labors of love in their parishes and communities. Others recount success stories that have been realized by the Society’s hard work and devotion, like the very successful, all-black, 800-student St. Augustine High School in New Orleans, Louisiana.